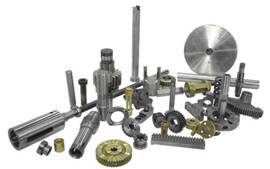 East Tennessee Tool, Inc. provides precision machining services. We like to think of ourselves as more than just a machine shop, we are part of your manufacturing solution. We have a wide range of computerized and manual machining equipment. We accept short runs of as few as one part, prototypes, and production level jobs consisting of thousands of pieces per order. From small diameter bar feed CNC lathes, to large CNC Milling and turning, we can handle your workload. We pride ourselves in delivering high quality parts to our customers. Our full line of inspection equipment helps us meet tight tolerances, on time, and on budget. We have in house grinding and precision sawing capabilities, so your parts will have our full attention from raw material to finished part. Most local shipments are made via our in house delivery, however, we also regularly ship via major trucking companies nationwide. If you have a job that you think we can help you with, please feel free to call, fax or email us a print. We will be happy to help you.